violent crime trends in the USA. 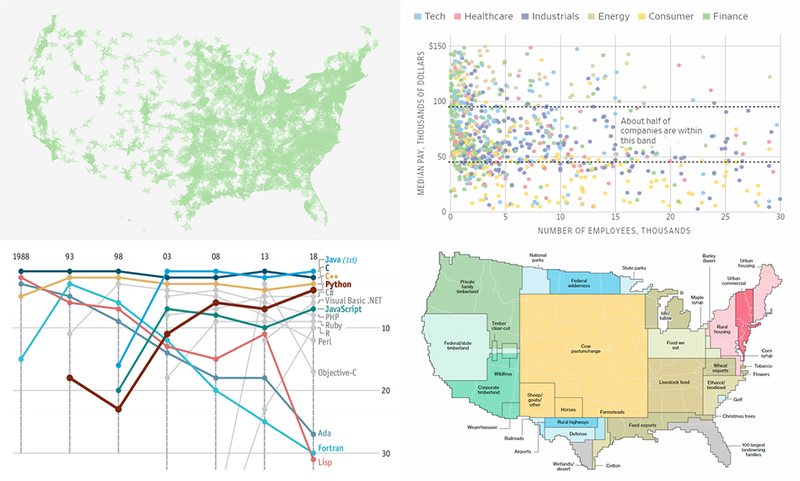 Welcome to DataViz Weekly, a regular feature on the AnyChart blog that highlights some of the most interesting new data visualization projects each Friday. 2018 U.S. House midterm election forecast. A new record-breaking wildfire season in California is in full swing, occupying the headlines of many national and even world media outlets. 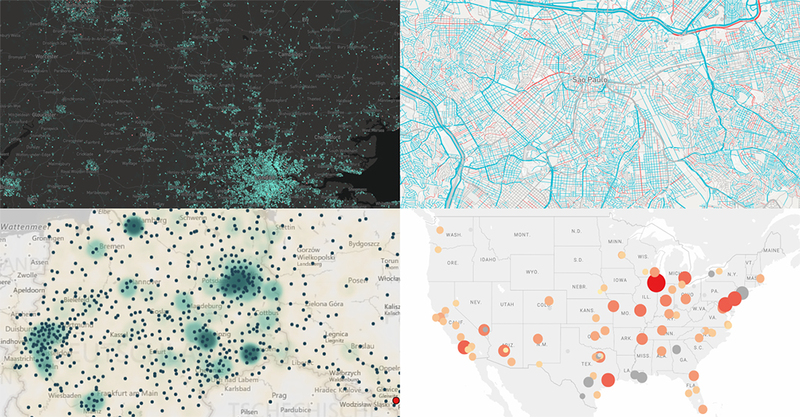 To better analyze and present what’s going on, data and graphics experts created various maps and charts. 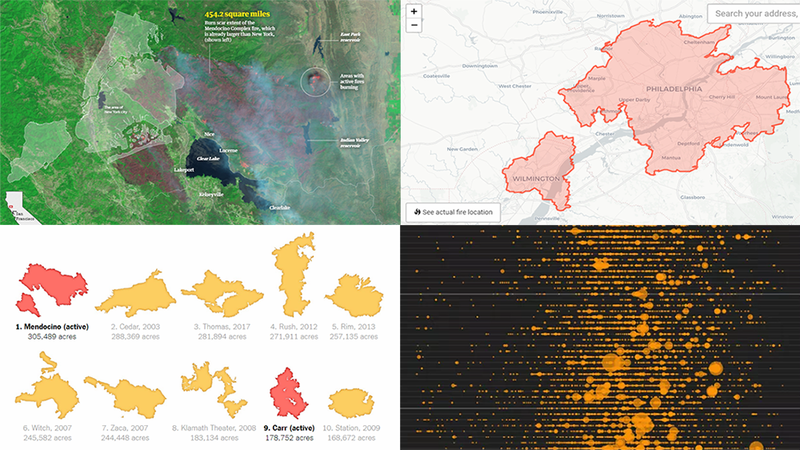 Today’s issue of Data Visualization Weekly features some interesting ones of them, and in fact, is fully dedicated to the topical California wildfire problem. 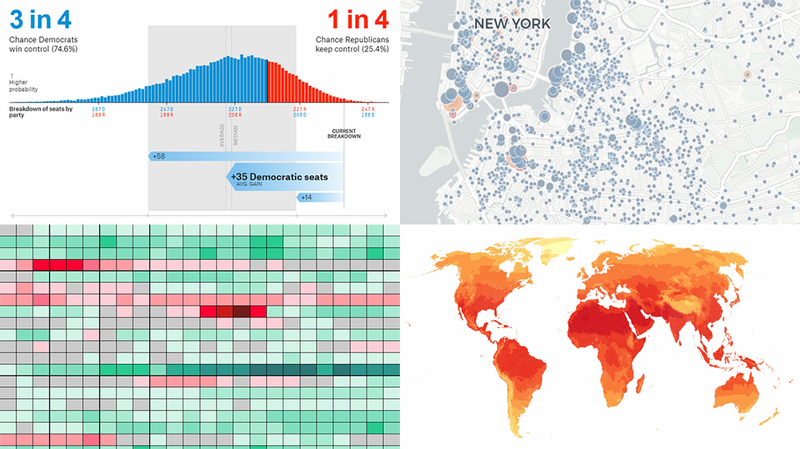 Another seven-day-long wait is over, and finally, the new DataViz Weekly piece is now out. 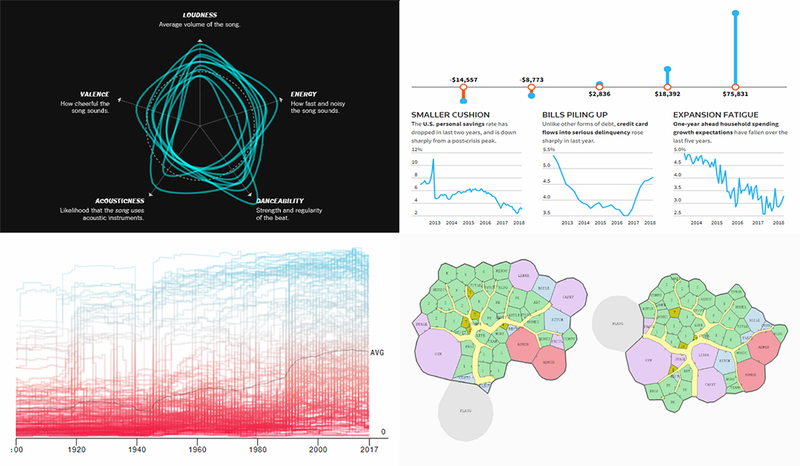 So if you want to check out some of the new cool dataviz works we’ve recently found out there on the web, look no further! poorer Americans and U.S. economy growth.